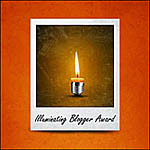 I was surprised and honoured when two of my blogs received multiple nominations for the Illuminating Blogger Award. At what was a sad and chaotic time in my life, these comments were a comfort. Fiona said: Queensland Genealogy was the first geneablog I found, and Judy has flung open so many doors for me. Judy also runs the Genealogists for Families Kiva group which has done so much to help so many. Alona said: Judy has a number of different blogs, but I've chosen to nominate her Queensland Genealogy blog because since she took up the 'Family History Through the Alphabet Challenge' she has been highlighting various Queensland records – and every one of them has taught me something new. Helen said: Judy Webster is a well known Queensland professional researcher and a personal friend. Judy is very generous with her knowledge. Her website is full of useful information for anyone doing Queensland research. Her latest entries in Alona's 'Family History Alphabet Challenge' showcase fascinating records. Judy does a number of blogs including one about her father's early life. In honour of her father she started the Genealogists for Families project where people make micro-loans via Kiva enabling other families to make a better life for themselves. Jill nominated the Genealogists for Families blog: 'Genealogists for Families' Project team leader and blogger, Judy, is an inspiration as she encourages genealogists to reach out and help families in third world countries with micro-loans. Judy's enthusiasm for this project and her personal generosity know no bounds. Historical Medical Miscellany: I find this blog both interesting and informative, especially as I am a medical scientist and an indexer of hospital and mental asylum records. Sassy Jane Genealogy: Practical advice from a genealogist who is also an archivist. London Roots Research: I have lots of London ancestors, and Rosemary writes about both basic and unusual sources (for example, Fire Insurance records). Dance Skeletons: Fiona's sense of humour is often a ray of sunshine in an otherwise dull day. Thank you for making me smile! You have certainly earned all of those nominations, Judy. Yes, most deserved indeed, Judy. Congrats and thank you for all you do for the genealogical community. You are most illuminating!